I went to SGV again with the same crew minus Esther plus Stacy. (That was just a semi-mathematical problem.) We had dinner late again like last time. 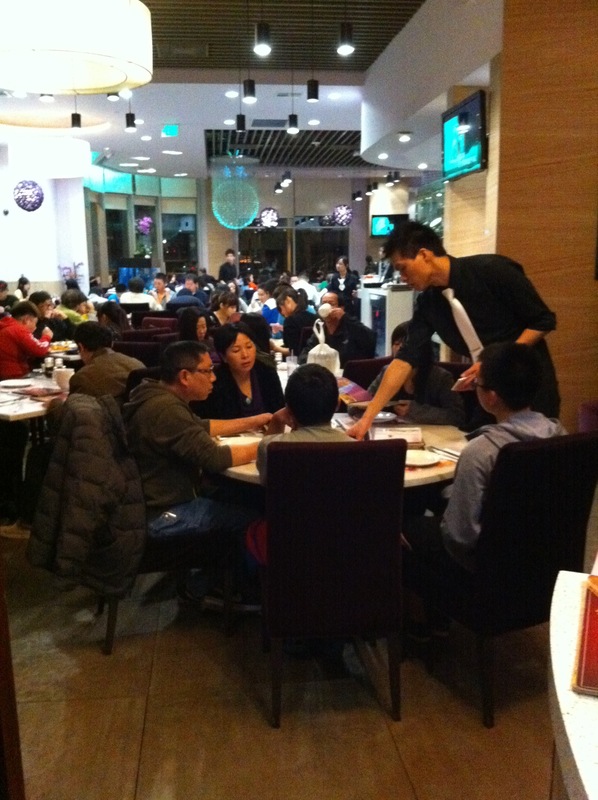 But remember it’s ok to eat late in SGV because The Fung Brothers said so. I mean, they even made a music video about eating late and that’s just how it’s suppose to be. 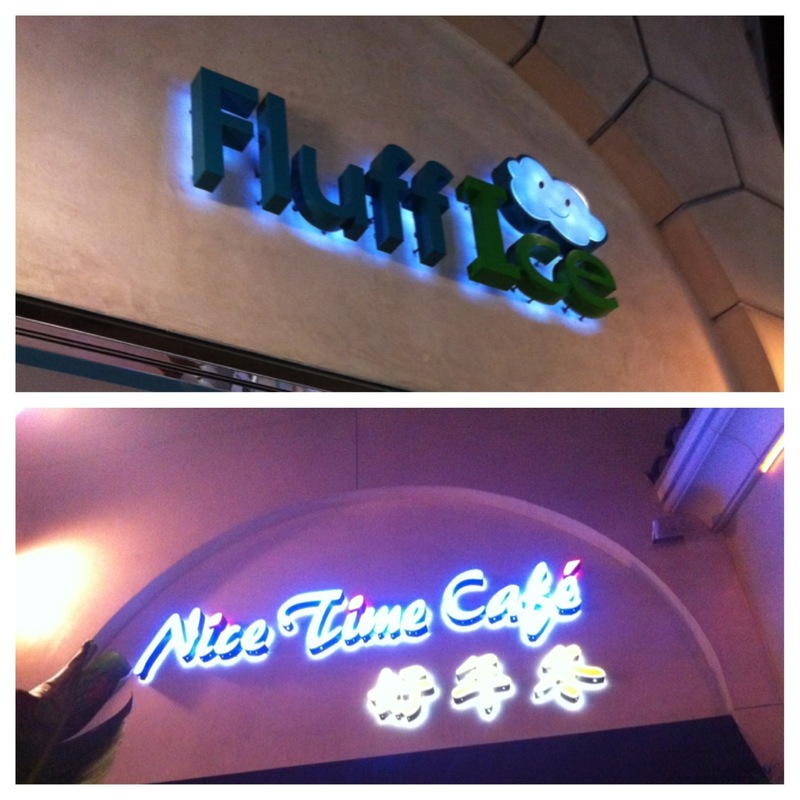 We first hit up a plaza called Atlantic Time Square in SGV. I would consider the layout and design of Atlantic Time Square like the Asian version of Las Vegas with the Greek pillars and fountain work. I’m saying that it’s the Asian version just because there were so many Asian restaurants and stores. There were some interesting names of places. They were pretty cute and funny because they reminded me of those Asian notebooks that have phrases written on them that kind of don’t make sense. For example: Blue happiness smile me forever. So we ate at Tasty Garden in Atlantic Time Square which is a Chinese restaurant. The place was packed when we got there. They definitely maximized every single inch of space to fit as many tables as they could. Just like last time, we had everything family style. 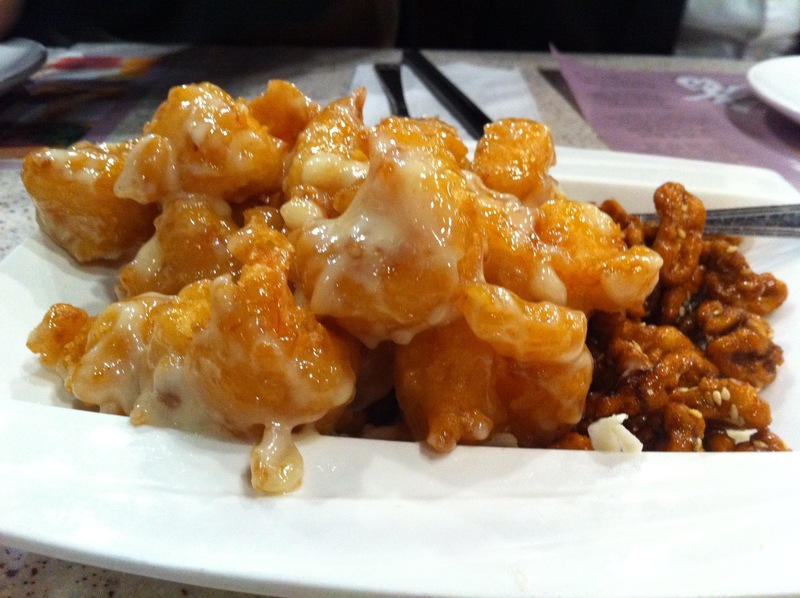 We shared plates of fried rice, beef, and my favorite coconut shrimp with walnuts. All was well worth it. For dessert we had this thing bread thing. Unfortunately, I have no idea what it was nor did my friends. But, it was darn good. It had a simple but sweet taste to it. Apparently you can’t find it anywhere in Orange County. You have to go to SGV for it! 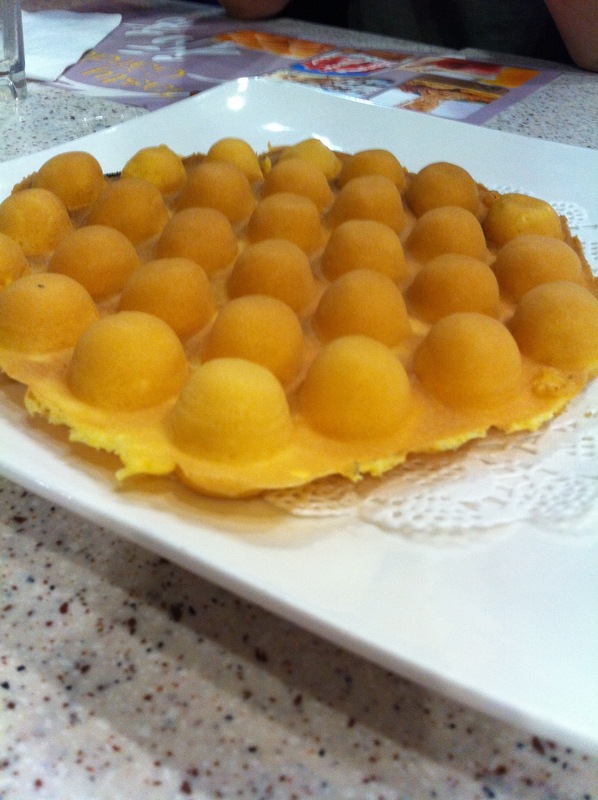 Because that unknown bread thing was just not enough for dessert, we had to go to Factory Tea Bar! Yay for FTB! I ordered the special Factory Tea Bar drink just to try something new. Guess what, it was just a horrible idea. Luckily, the service there is great that they can adjust your drink as much as you want them to basically. You can keep the drink you don’t even like. So I switched over to my new original and favorite drink, Iced Honey Green Milk Tea. I was so much at peace with it. We ordered a little too much dessert/snackies at Factory Tea Bar. We got some sweet potato fries, medium spicy popcorn chicken, and brick toast a la mode style. The brick toast with ice cream was a beautiful work of art. 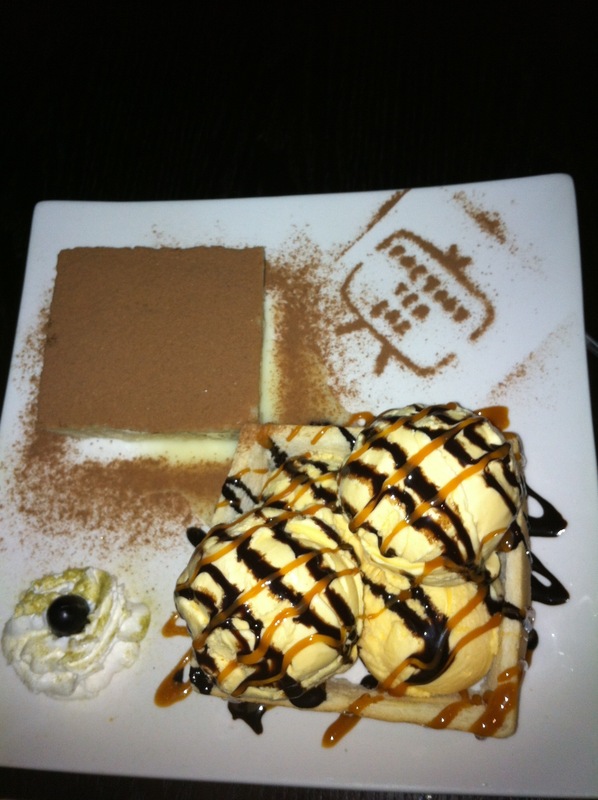 They cut out a box within the brick toast and made it hallow to put scoops of vanilla ice cream in there. With the bread that they cut out, they covered the top with coco powder. Everything was mmm delicious! 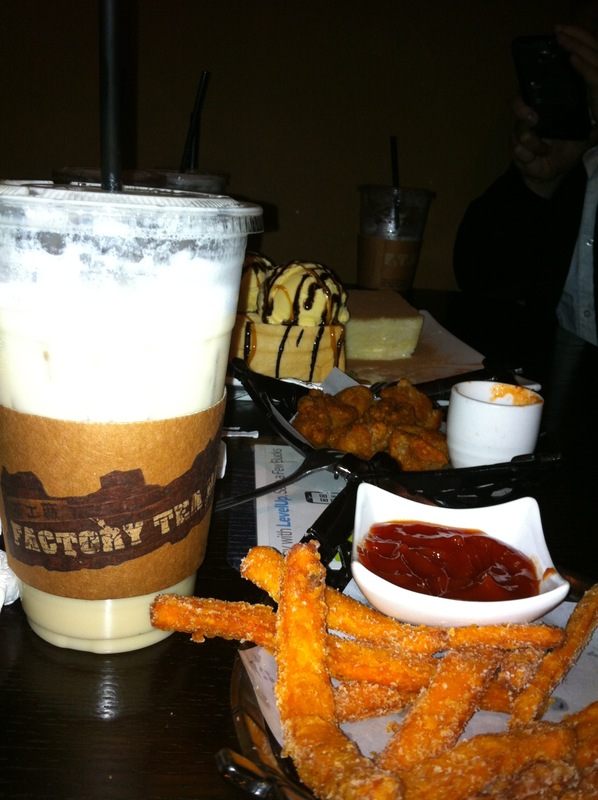 Factory Tea Bar was a great way to end the night! SGV you have not failed me. Let’s hope that you don’t when I visit you again.